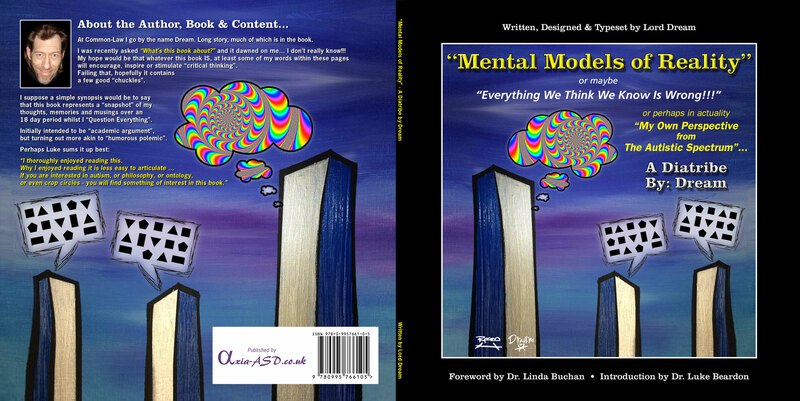 Axia ASD are pleased to announce their first tentative venture into publishing! Written by our very own “Voluntary Guest ‘IT’ Consultant”, Dream, we thought this book would be appropriate to explore the “new avenue” of Publishing for us. Dream decided to “challenge himself” and write a book over the recent “Christmas Period” after being encouraged and inspired by our good friend Luke Beardon last year following a number of email communications. Dream states this is “not the book he intended to write” and that he is “not entirely happy” with his creation. However, we think considering he not only wrote, edited and typeset the book in such a short space of time, there is still some “value, merit and worth” in the work he has produced. 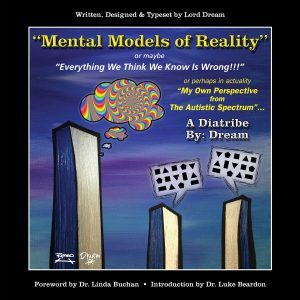 Presently the book is only available in paperback from Lulu, however Dream is currently working on a reformatted version suitable for the eBook format which should be available from all common outlets in the not too distant future. The book can be previewed and purchased here for the sum of £9.99 plus postage. We do have a few copies which we intend to bring to our next PDSG.